The Over-the-top media services (OTT) are coming up with plenty of online streaming contents in the India region. We will guide you on how to download web series or shows from these media streaming platforms via online easily. The short stories, short films, based on true events, fictional, and more videos are getting so much popular in India. Some of them provide free/limited content and some of them offer paid subscriptions. 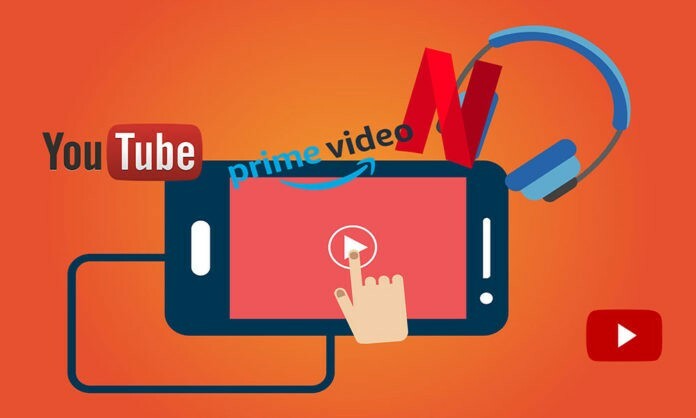 We’ll share with you on How to Download YouTube, Amazon Prime Videos, Netflix videos in India. Most of the web series whether it may be in Hindi, English, Bengali, or any other language, gets a huge response from the Indian audience from last two years approximately. These online media streaming platforms like YouTube, Amazon Prime Video, Netflix, and more are also highly focused on their content and episodes way better than TV platform. As we all know, some of the recent web series like Sacred Games, Lust Stories, Mirzapur, Made in Heaven etc has stolen a huge amount of audience hearts. Now, the main thing is that most of the audiences and users want to download their favorite content for offline view. Most of the platforms offer you to download contents on the playlist to watch later even in offline mode. That will surely help you to avoid getting bored while you’re traveling or don’t have an internet connection anytime and anywhere. Now, we will provide the easy steps to download videos from YouTube, Amazon Prime, and Netflix platform without any issue. Just follow the steps mentioned below for each media streaming platforms. Open the YouTube app on your smartphone and play any video which you want to download. Tap the Download icon available just below of the video frame. Then tap on the OK button to download it into the YouTube app. The video will be downloaded soon based on the size and you’ll see a tick mark in the place of download icon. Please Note: You can also set the download quality, download over Wi-Fi only option, Use SD card option as well from the account Settings > Downloads. Open the Amazon Prime Video app on your smartphone [Android, or iOS, or Fire tablets]. Find the TV shows or movies which you wish to download for offline view. Tap on the video icon > tap on Download. Now, go to the Downloads menu to see the list of all downloaded videos and start the online/offline video streaming on your device. Open the Netflix app on your mobile and play the content which you want to download. Now, tap on the menu button which appears in the upper-left corner. Then tap on the option called Available for Download. Wait for the download to complete and you’re now good to go. On Android devices, just select the preferred location to save the downloaded content. You have to give the app permission to access the downloads on the SD card. Disclaimer: Netflix contents are DRM protected. So the downloaded video will only be saved on your device. You can’t share the videos with anyone else via sharing tools or by changing the SD card.